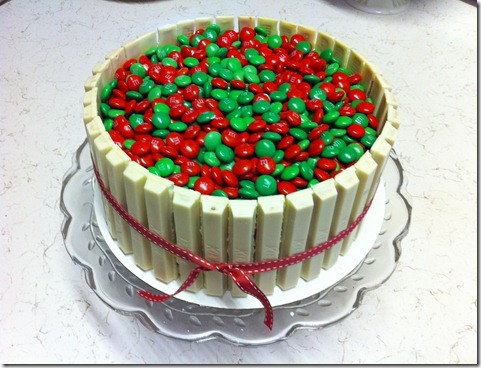 I have really enjoyed drooling over the links that were submitted to the Holiday Recipe Link Party. There are so many fun and festive ideas for holiday treats, and I just had to feature (quite) a few of them. I decided to break down some of my favorites into a few categories: Holiday Candies, Dressed To Impress Desserts, and Justifiable Treats. 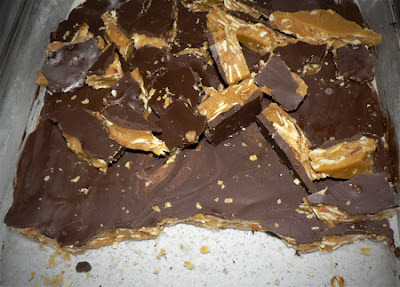 And I can't leave out a holiday staple in our house, toffee. Jo, from Smile Monsters made up this delicious batch. 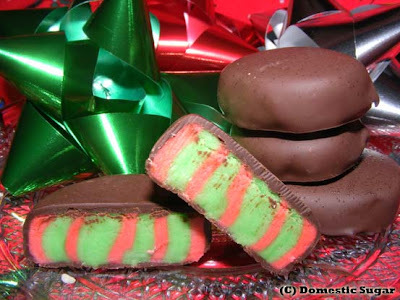 Meghan, from the Domestic Sugar Bake Shop, will show you how to make these festive peppermint patties. 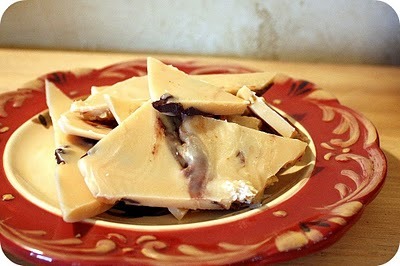 Make Homemade Almond Roca with Ashlee at I'm Topsy Turvy. 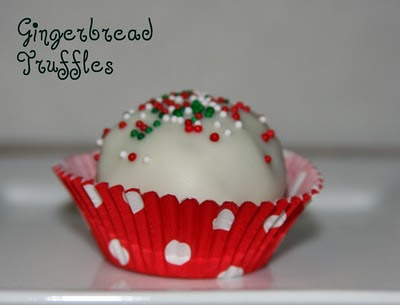 Me and My Pink Mixer, shares their recipe for these festive Gingerbread Truffles. I love the smell of Gingerbread around the Holidays. These desserts are sure to impress all of your guests at your next holiday party. These Oreo Truffle Surprise Cookies are all dressed up. Visit Inside Bru Crew Life for the recipe. Ela, from Life in My PJ's, will show you how to make this candy coated red velvet cake. I love how festive and fun this cake is. Our Journey To A Simpler Life, shares this recipe for a pumpkin roll. 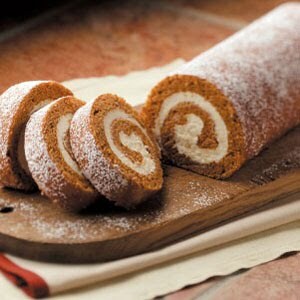 A pumpkin roll is a fun and impressive variation of more traditional pumpkin desserts. No one wants to bulk up during the holidays, but I hate when people deprive themselves of great holiday food. Small portion sizes, and a justifiable treat is the way to go. I have a personal belief that if a dessert has fruit, nuts, or dark chocolate, that I can justify having a small portion (or two). These recipes look so fantastic, and have some health benefits as well. 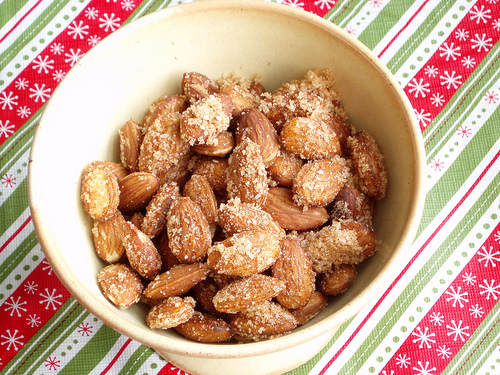 These protein packed sweet and spicy almonds are sure to curb any cravings that you might be having. You can find the recipe at The Pretty Bee. 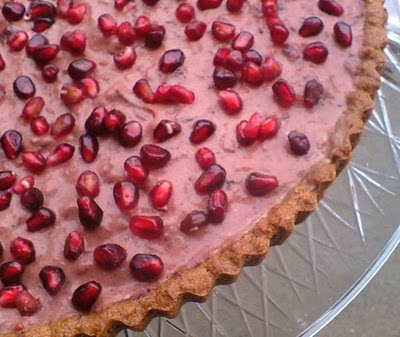 This Pomegranate and Cranberry Cream Tart is full of antioxidants, and it's gluten, dairy, and sugar free to boot. Ashlie and Alfred of the Delshad Duo will teach you how to make this great holiday recipe. 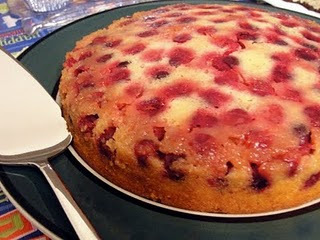 Lisa's Cranberry Upside Down Cake has been making me salivate all week. 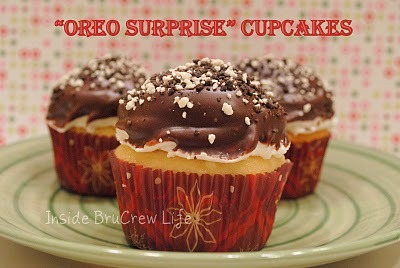 You can find the recipe at her blog, The Pursuit of Happiness. 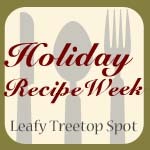 Be sure to check out the other recipe submissions for some great holiday ideas. The other links look just as delicious. I'd loved to have featured them all. Yumm, those oreo cupcakes, pumpkin roll, almonds, and cranberry cake look so GOOD. Thanks for hosting such a fun party, there were so many goodies there. !!! Thanks so much for featuring me! All these desserts are making my stomach growl! that pumpkin roll looks deiicious! thanks for featuring my almonds! Thanks for the feature! I made this a few times the season, it's one of my very favorites!!! It works great as long as it's dry. But, like all candy making it's very sensitive to the weather.